Inspired by my life-long concern for the environment and for endangered species, this research brief studies the history of the National Wildlife Federation and how we can use it to foster an ecology of place in our art classrooms. which I assembled while on a flight from Texas to California demonstrates my process. The original work is a mixed-media collage which incorporates a drawing I did in high school. Using text as well as collaged paper butterflies, the work expresses our responsibility to listen, to care and to act. Using the Stamp Booth app on the iPhone, I transformed the image into a stamp. Stamps traditionally communicate ideas with others, delivering news and connecting people. 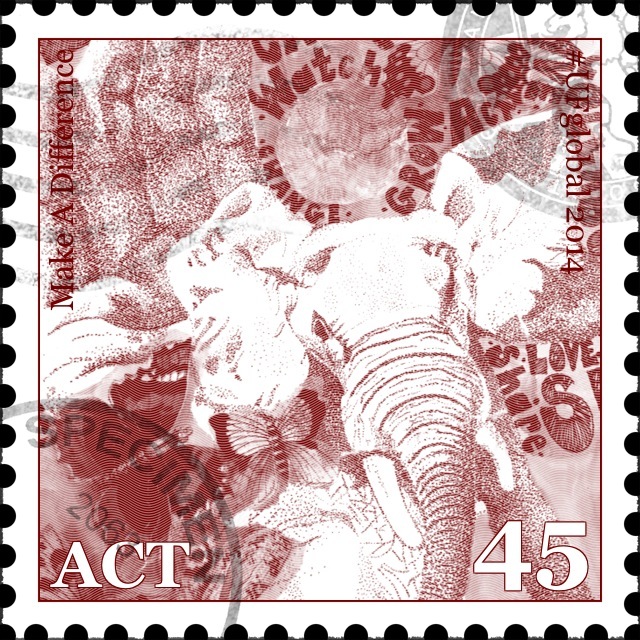 Here the stamp represents the opportunity we have to foster a connection with others to do something for the environment. We start locally, and it impacts globally.